MS ® FUF membranes are made of enhanced PVDF, so they have enhanced tolerance to cleaning chemicals. Almost all of the particle, bacteria and colloids can be removed by the MS ® FUF. 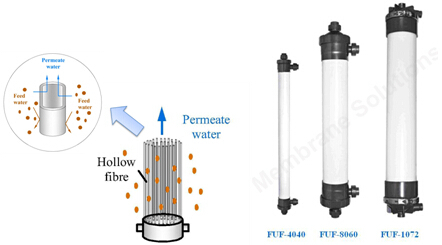 MS ® FUF membranes have wide-ranging applications such as municipal water, industrial water (electricity, steel, petrochemical and textile) and reverse osmosis pretreatment. Modified PVDF for greater hydrophilicity, smoother, less fouling. 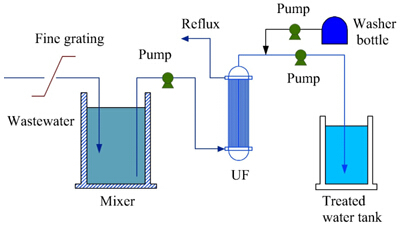 Can intercept bacteria and viruses, the effluent is stable. The membrane silk lining designed with high intensity. Simple structure, reasonable design, easy to tear open outfit. Low operating pressure, energy saving.